"I love being a dentist. Over the years, I met so many wonderful people. The friendships I've built with my patients and their families are priceless. My focus has always been to make each patient feel at-home when they come to me for treatment. I work hard to give my patients the attention and expertise they deserve." 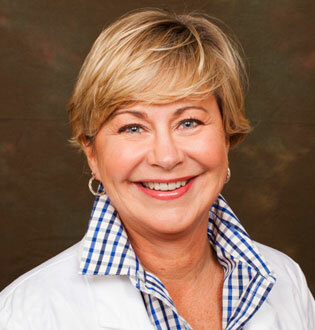 Dr. Honore Woodside has been practicing relationship based dentistry on Chicago’s North Shore for more than 25 years. Her expertise in comprehensive dentistry builds relationships with patients to achieve their desired results. She understands excellent care for patients requires more than just a dental degree and an office to work in. It requires dedication and commitment: to continuing education, to patient’s desires and requirements, and a focus on achieving predictable results. Her continuing education includes having studied at top institutions across the country. Most recently, she graduated from the esteemed Pankey Institute. Her study in comprehensive dentistry has taught her the importance of looking at the whole picture, the art of examining the interaction of a patient’s muscles, bones and teeth to have a “harmonious bite,” which can last a lifetime.